Ben and Tarka will cover 1800 miles starting from Scott's Terra Nova Hut at the edge of Antarctica to the South Pole and back to the coast again. That's equivalent to 69 back-to-back marathons hauling up to 200kg each (the weight of roughly two adult men) of kit and supplies necessary to survive. Distances here are shown in statute miles. 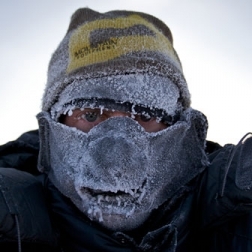 One of three in history to ski solo to the North Pole (and the youngest to do so by more than ten years), Ben Saunders holds the record for the longest solo Arctic journey by a Briton. He is an acclaimed public speaker, whose TED talks have received more than 1 million views online. He is a Global Ambassador for Land Rover and Intel, an Ambassador for The Prince’s Trust and a Patron of the British Exploring Society. An accomplished ultra-endurance athlete, adventurer, speaker and filmmaker, Tarka grew up in the French Alps with a love of mountaineering, skiing, climbing and BASE jumping. In 2007, Tarka became the first person to walk the entire length of the Great Wall of China. He has a wealth of experience in the polar regions and in 2009 led the longest crossing of the Southern Patagonian Ice Cap by a British team. Aside from professionally managing Ben’s expeditions since 2007, Andy is an accomplished adventurer, photographer and fly fisherman. 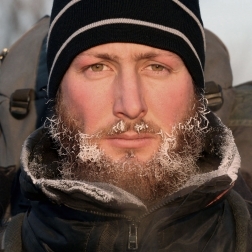 In 2004 he walked more than 3,300 miles from London to Asia. He frequently has photos published in travel books and magazines and has written for the Lonely Planet. 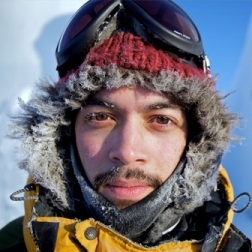 Tem is an award-winning filmmaker who specializes in expedition documentaries. 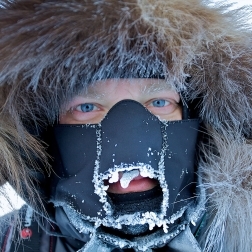 He has twice been a Vimeo finalist and is the power-house behind all Scott Expedition films. When not behind the camera, Tem is a talented illustrator and composer. The man behind IronMac, Andy is a top strength and conditioning coach. 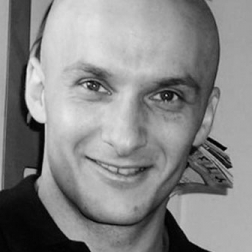 His expertise is founded in his impressive military background, his broad experience as an elite strength and conditioning coach and his own high-level athletic achievements. He founded Training Lab – one of the most ambitious gym projects in the UK – and works by the philosophy ‘Set Standards Not Limits’. 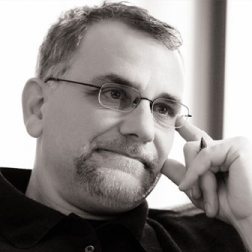 A certified professional coach, Jerry draws on his wide variety of experiences to provide guidance on how to improve career performance and satisfaction. He established his own coaching practice in 2007. Previously he was a venture capitalist focused on investing in early stage technology-related startups and partners at J.P. Morgan Partners. 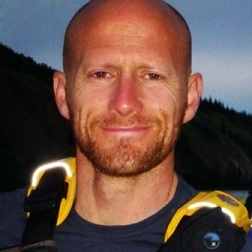 Founder of Clapham’s finest physio, (Balance Physiotherapy), Jonathan has more than 20 years experience in performance, strength and conditioning, recovery and rehabilitation including service as a Royal Marine Commando, and over 15 years in advanced physiotherapy rehabilitation. Working in the scientific community of Woods Hole, Massachusetts, Anthony builds large scale technical infrastructure for science. Anthony has a passion for exploring the interface between adventure and science as well as the challenges of working with technology in extreme environments. 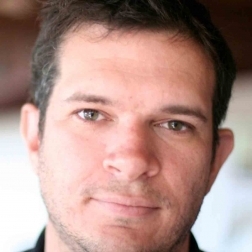 He is an avid packrafter, photographer and open source developer and a member of the IEEE Oceanic Engineering Society and the American Polar Society. Enter your email address and subscribe to our newsletter for updates. Copyright © Ben Saunders 2019. All images copyright of The Scott Expedition unless stated and not to be used or taken from this site without express prior permission. Hosted on Memset’s Dedicated Servers, Site by James Lindeman.